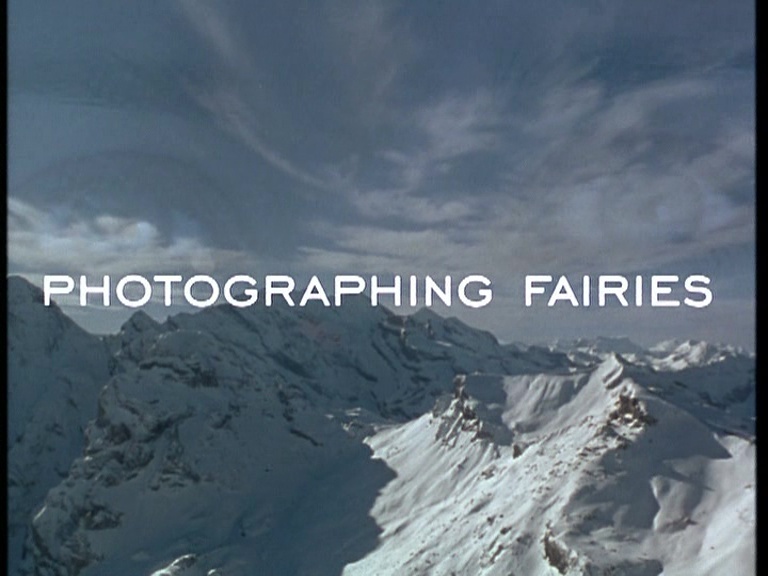 I first saw Photographing Fairies during its brief cinematic release in 1997. I'd just graduated university, in that weightless time when I had decided never to go back to my old home town. I saw it on my 22nd birthday. My future wife was one of the people who came with me. I don't know if it was the sort of film that you go to see with your mates on a birthday outing. 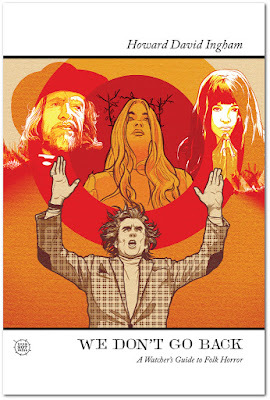 But I think, even then, I knew it was the sort of film that I seemed to gravitate towards. I don't remember thinking it was the greatest thing I'd ever seen, but it haunted me, and looking at it now, I can see why. 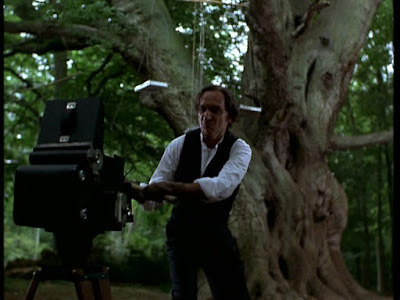 It's a very theosophical film; my fractured, ambivalent relationship with theosophy has informed much of my writing over the years, and the film's own equally fractured and ambivalent relationship with the ideas of the movement resonated with me, I suppose. 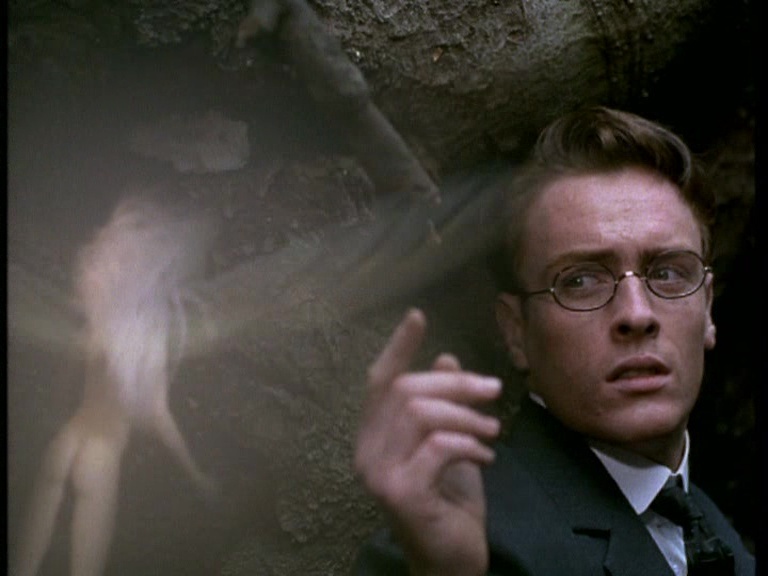 I remembered much more of the second half of the film; in the beginning, director Nick Willing offers us a series of brief vignettes that introduce us to the protagonist, Charles Castle (Toby Stephens), and explain something of what it is that drives him. And you get the impression thatthis is mainly to get the setup over with, so we can get on with the film. So. It is 1912. We see Charles newly married, while on a holiday in the Swiss Alps; his wife (Rachel Shelley) dies in a tragic accident on the mountainside only a day later. It is 1916, and he is a war photographer now, terrifying his batman Roy (the great Phil Davis) with his absolute disregard for his own safety. For Charles, life is not worth holding on to. None of it has meaning. And now it's some time after the war, and Charles and Roy have set up business in a photography studio. Bereaved families pay Charles to fake photographs of their lost sons by their side. 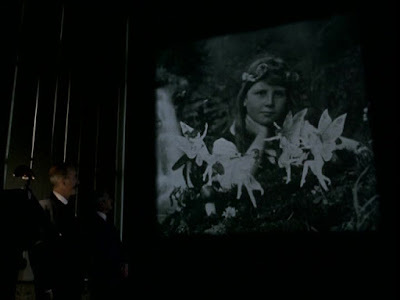 Charles's knowledge of fakery leads him to a meeting of the Theosophical Society in London, where a speaker shows the assembled people one of the Cottingley fairy photographs, one of the best-known hoaxes in British history (which means that the better part of the film has to be set in 1920-21). Charles interrupts the meeting, publicly demolishing the photograph by pointing out discrepancies in dress, motion and focus. He gains the attention of two people: Sir Arthur Conan Doyle (Edward Hardwicke), who in real life was a great champion of the Cottingley Fairies case, and Beatrice Templeton (Frances Barber), who visits Charles in his studio and shows him a fairy photograph of her own, and while Charles is sceptical, the photograph, which shows a little girl who may or not have a fairy dancing on her hand, contains certain tiny details which Charles cannot explain. He abandons his work and travels to the village of Birkenwell (which, I suppose, is somewhere in Berkshire, or Surrey, or possibly Kent). And of course, Castle's own trauma and loss butts up against Mrs Templeton's belief, and the unbelief of her jealous, bullying husband, the vicar (Ben Kingsley, pre-knighthood). Castle moves from hard scepticism to fervent belief in the phenomenon. The little girls' governess, Linda (Emily Woof) takes a shine to Charles, who is still grieving for his wife. Charles's obsession with his loss, the insoluble problem of his life, is the driving force of the story. It leads to tragedy. The vicar, who stands for, above all, robust unbelief. I probably need to talk a bit about the context in which the film operates. On the one hand, it plays on English folk traditions, and so as the story progresses, we discover that the great tree in the woods is the place where the fairies congregate and if you eat the bloom of a specific white flower, time slows down for you, and you can see the fairies, but you also enter an altered state of consciousness, in which you lose regard for your own safety, a fact which proves dangerous, and in one case fatal, for several of the characters. And that's nicely done; several English wildflowers have medicinal or narcotic effects and the film posits that it's the altered state of consciousness – lotus-eating, if you like – that allows you to access the realm of the fairies. It's neat. It makes sense. 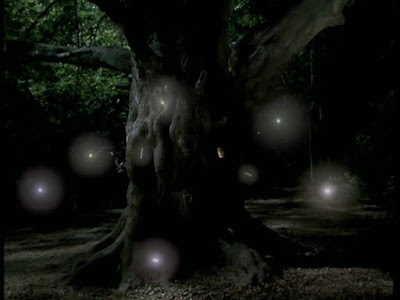 But, more importantly, in theosophical thought, and this goes right back to dear old Madame Blavatsky herself, "fairies" are just a name for the elementals, spiritual intelligences that inhabit nature, and are more than just little people. They're the proof of a higher existence. They're the door between the gross realm of matter and the higher realm. They are the signpost to the afterlife. And believing in fairies, which is historically a theosophical constant, is simply a corollary to believing in the realm of the divine. Castle: Death is merely a change of state. The soul is a fresh expression of the self. The dead are not dust. They really are only a footfall away. And that is right out of the theosophical playbook. It's not that the afterlife, however you conceive it, is coterminous to ours (Blavatsky herself explicitly rejected that1), rather that the supposedly provable existence of "fairies", "elementals" and "gnomes" shows that the universe is working, because the fairies represent a different state of existence. And so, in Photographing Fairies, Charles, who's familiar with what the Theosophists believe about this stuff, a fact established early on, becomes obsessed with the fairies, because even the horrors of the Great War could not outdo for him the loss of his wife. Meanwhile, Rev. Templeton's solid refusal to believe in evidence of an afterlife is the film's chief irony, one which the film thankfully doesn't hammer into you. Photographing Fairies presents us with a world where the fairies do indeed give access to the afterlife, or they do for Charles, which is good enough for the film's context. Buit the much more interesting question it asks is: to what extent is a fascination with the otherworld a healthy preoccupation? Linda: Out there's the real world. With trams and tea dances and bills to pay and children to raise. Where real life people fall in love with other real life people. It's my world. I want you in it. Charles's inability to go on living – his entire business is in service to people who like him, cannot carry on living, who need keepsakes – is, the film says, his destruction. 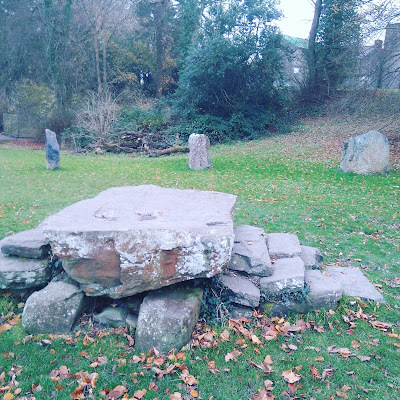 And while the vicar's absolute refusal to even look is by no means a principled stance to take, you get the distinct impression that the only direction that looking towards the land of the dead will take you in, is to the otherworld itself, sooner rather than later. It's not a perfect film. The best films have dialogue that both advances the story in its economy, and presents a believable sort of conversation in its style, and Photographing Fairies admirably succeeds in the former and fails miserably in the latter, with dialogue that tends to ponderous and didactic rather than naturalistic. 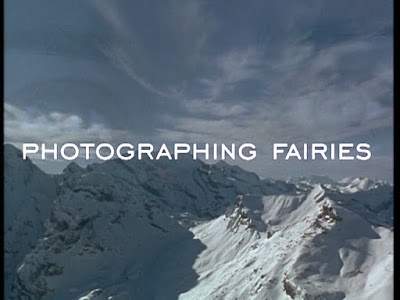 For all that, the performances are largely excellent (Phil Davis particularly gives a fine turn) and the fairy designs by Ron Mueck (formerly of Jim Henson's Creature Shop and later an award winning sculptor) are really excellent, convincingly selling the idea of flower fairies. Although there's no domestic release at the moment, you can find it on iTunes right now, and if you're prepared to risk the attention of the All-Seeing Apple, it's worth seeking out. It's aged better than I thought it had.